We wanted to inform you that from January 1st 2017 the way we display certain information will change. You will now be required to login and register on our website to view our up to date pricing. This will coincide with price increases due to global economic changes. We are pleased to inform you that certain products such as the HDFS range will benefit from a price decrease of up to 10%. Protek Electronics Switch Gear continues to be designed and built to the highest standards here at our UK headquarters in Staffordshire. 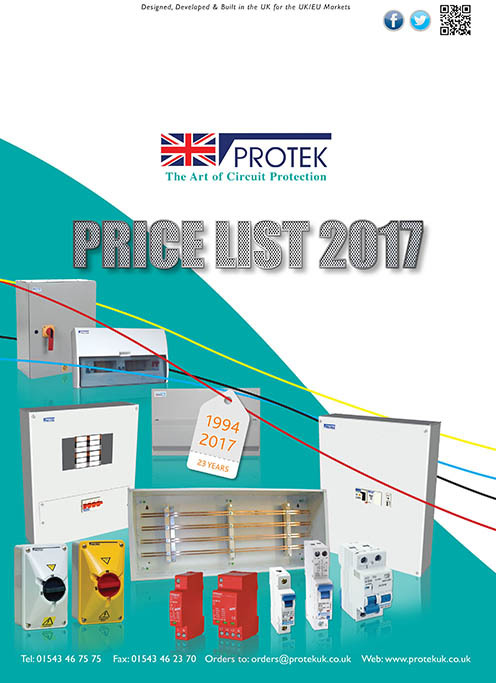 In an attempt to improve on what we already feel is a reliable and quality range of Switch Gear, from 2017 all Protek Electronics Switch Gear will feature class leading ABB components. Should you have any questions regarding these price changes please contact our sales team who will be more than happy to help. We thank you for your continued support to Protek Electronics products and wish you a prosperous 2017.